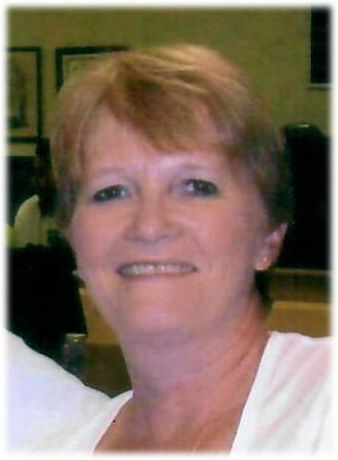 Gale Marie (Edsall) Chavarria, 66, of Van Wert died at 11:30 p.m., Sunday at the CHP Inpatient Hospice Center in Van Wert. She was born on August 26, 1952, in Van Wert, the daughter of the late Robert and Ganelle (Kohn) Edsall. She is also preceded in death by a sister Pat Cooper. She is survived by her husband of 48 years, Rich Chavarria; two sons, Joey (Jen) Chavarria of Van Wert and Marcus Chavarria of Nashville, Tennessee; four grandsons, Collin, Joey and Ricky Chavarria of Van Wert and Bronson Chavarria of Nashville; and one granddaughter, Marlowe Gale Chavarria of Nashville; one brother Gregory (Kathy) Edsall of Ohio City; and two sisters, Deborah (Roger) Mongold of Van Wert and Tamera (Dean) Showalter of Haviland. She was a second mom to Robert, Andy, Shawn and Zach. Gale was a 1970 graduate of Van Wert High School. She had worked at Downtown Drugs and the Derry Drug Store. She enjoyed sitting in her Gramcave watching her grandkids play on a summer day. She also enjoyed sitting by the fire on a summer night with her family. Gale was loved by so many people. Services will be held at 10:30 a.m., Saturday, March 23, 2019, at Cowan & Son Funeral Home with Rev. Manuel Chavarria officiating. Interment will follow at Van Wert Woodland Cemetery. There will be calling hours 2 - 7 p.m., Friday at the funeral home.